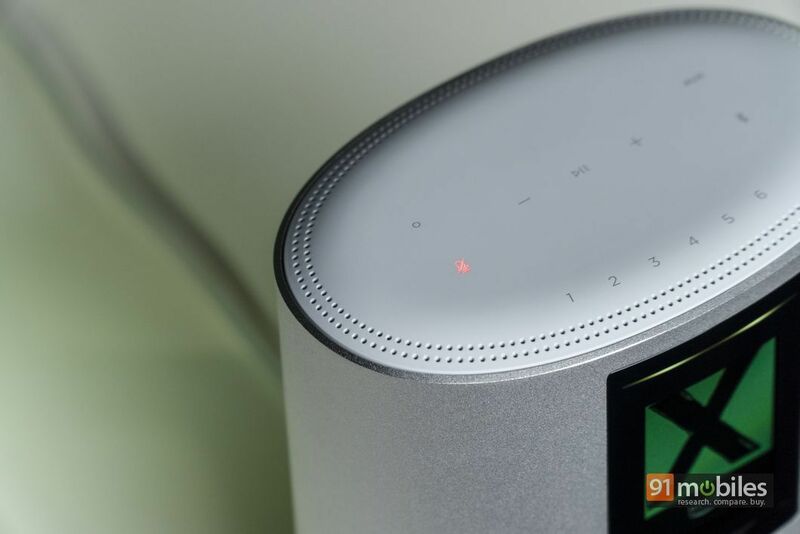 Smart Speakers are all the rage right now and many homes across the country are ‘echoing’ with weather reports from Google’s Virtual Assistant or Amazon’s Alexa. This has issued a clarion call for legacy audio brands to step up their game and outfit their offerings with AI smarts too. After all, who doesn’t want a tremendous-sounding speaker from a notable brand which can play music off the web and can do everything but get you the nuclear launch codes? 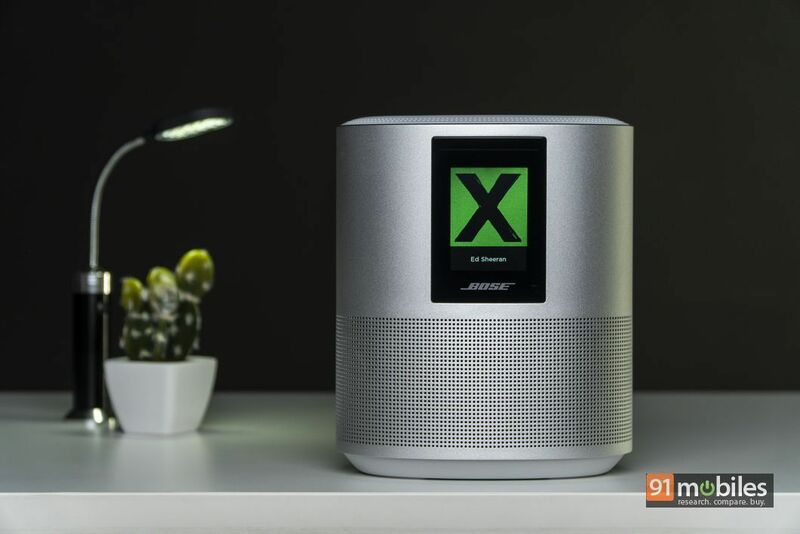 Audio giant Bose recently announced its first smart speaker in the country in the form of the Alexa-powered Home Speaker 500. Now, like most things Bose, the speaker’s sticker price isn’t for the faint of heart. So, to test if it’s worth your hard-earned bucks, I went ears-on with a unit and after testing it for a few weeks, here’s what I make of it. Have you ever stepped inside a fancy car and been disappointed with the interiors? It goes without saying that when you’re paying a premium for a product – any product – you’d expect it to be dressed up to the nines and the Home Speaker 500 unquestionably delivers on that front. 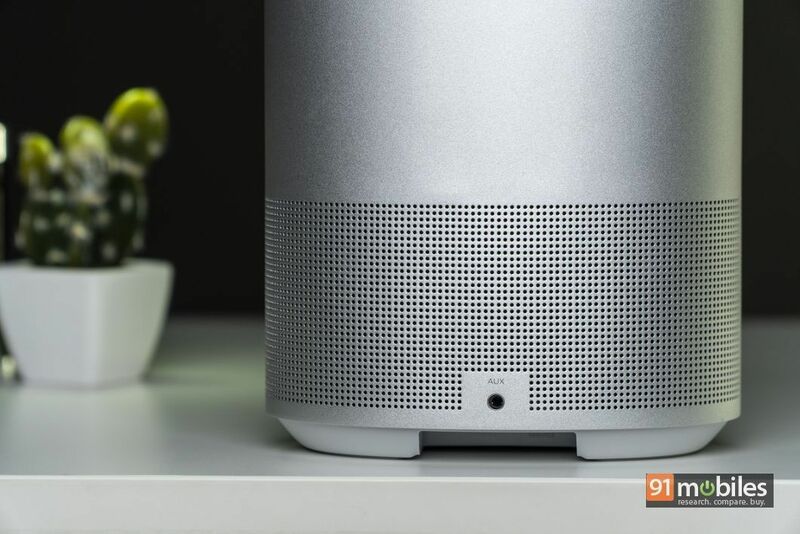 The speaker sports a unibody metal design and has been constructed using anodised aluminium which gives it an air of premiumness you’d seldom find on cheaper offerings. While it does add a bit of heft to the unit, the Home Speaker 500 isn’t a portable speaker, as it doesn’t have a battery. Consequently, you won’t really notice the weight once you’ve positioned it in a spot of your liking. Staying in line with the classy theme, the Home Speaker 500 doesn’t ship in any funky colours and instead, comes in timeless hues of lux silver and triple black. I got myself the silver coloured model, but going by the design shots, I am tempted to check out the black variant as it looks just as good, if not better. Towards the bottom of the speaker, you’ll find perforations for the grille which have been drilled with the utmost precision. The grille runs along the bottom half of the elliptically-shaped speaker to offer a 360-degree, stereo sound experience. Note that the Home Speaker 500 doesn’t fire audio towards the front as the drivers have been positioned on either side of the unit. 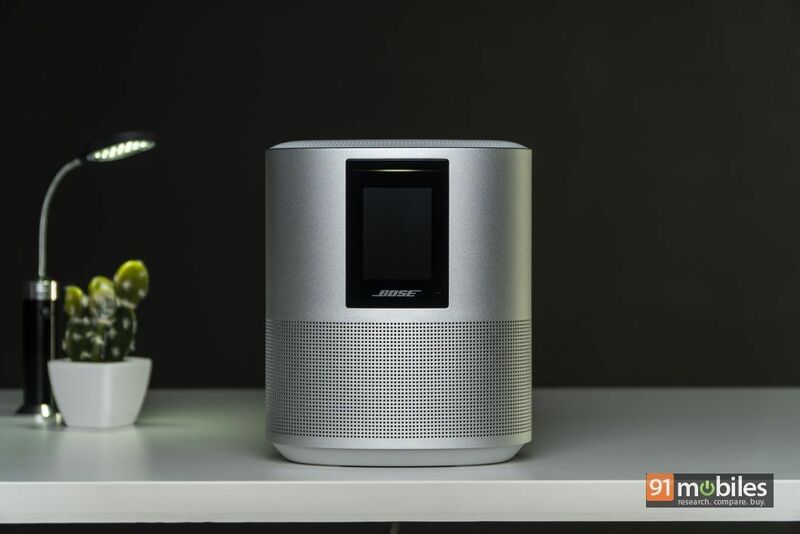 Bose’s logic is that the sound projected from the drivers will bounce off the walls in a room to achieve a superior stereo separation than any other smart speaker in the market. I’ll talk more about the speaker’s sound quality later, so for now, let’s turn our attention back to the design of the speaker. 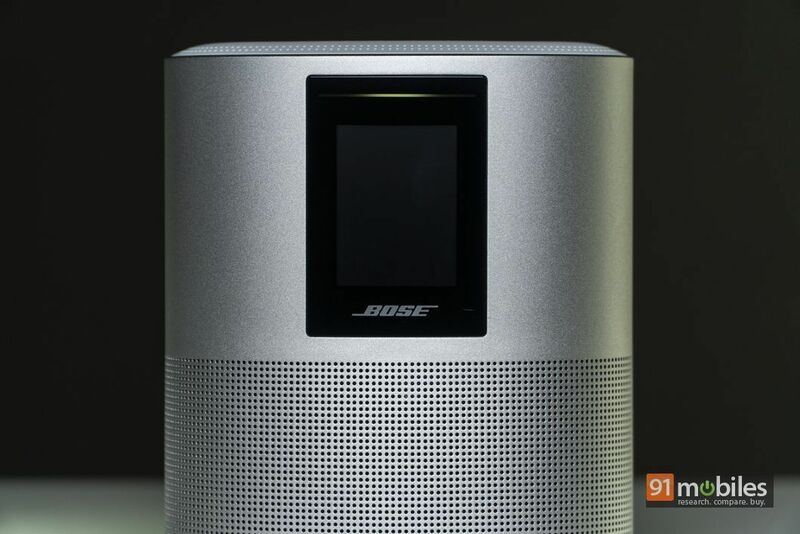 Towards the front, the Bose Home Speaker 500 sports a small LCD panel which displays album art for sound tracks as well as information regarding the connected devices and the time. Personally, I’m divided on the inclusion of the LCD panel as it offers limited functionality and disrupts the speaker’s otherwise seamless design. That said, some of my colleagues felt it was a nice touch and therefore, you might fancy it too. 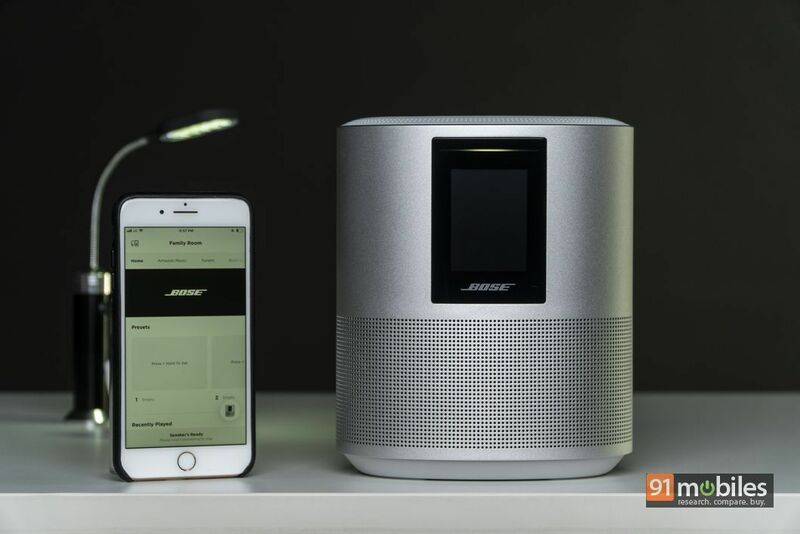 For the most part, buyers will be using their smartphones to control music playback, but Bose does offer an assortment of controls on the speaker. Towards the top, you’ll find numerous capacitive buttons which will let you pair a new device to the speaker, change the volume levels and so on. The grille circling the buttons houses eight microphones which support far-field voice recognition. Consequently, no matter how loud the music gets, you Home Speaker 500 will still be able to hear and register your commands. There’s no two ways about it — the Bose Home Speaker 500 sounds phenomenal. As I mentioned previously, the unit ships with two opposite-facing drivers which pave way for a surreal listening experience. During my time with the unit, I tested the speaker across a variety of genres and I was in awe of how faithfully it reproduced all my favourite tracks. There’s oodles of bass which can comfortably shake the walls in your room without taking a toll on the other frequencies. 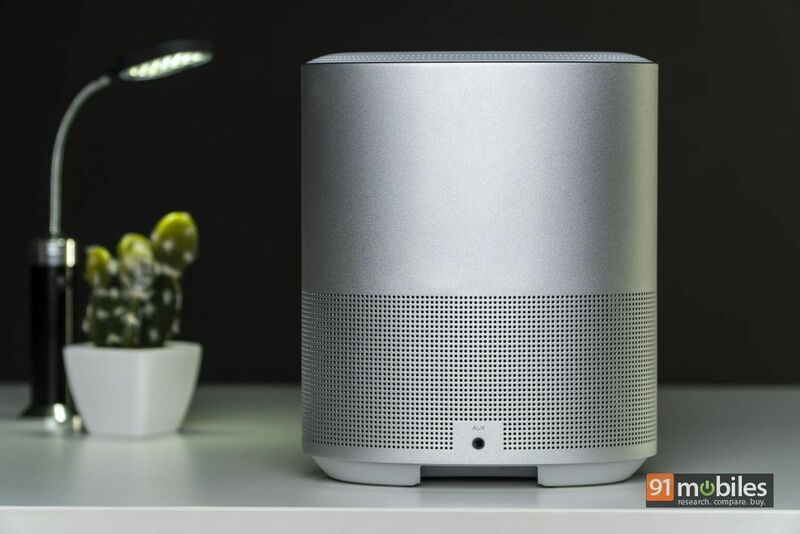 Such finely-tuned acoustics are reminiscent in most other smart speakers in the market and it’s what sets the Home Speaker 500 apart from the competition. Listening to Ariana Grande’s 7 rings, Post Malone’s Wow and DIVINE’s Apna Time Aayega, I couldn’t help but dance to the beats. Did I injure myself trying to bunny hop? Maybe. But would I still jump like a maniac if the music is bursting out of the Home Speaker 500? Absolutely. The mid-range sounds just as brilliant, mind you. The Home Speaker 500 managed to encompass Lana Del Ray’s entire vocal range in her recent single – Mariners Apartment Complex. Not a single note went amiss and even at louder volumes, the high-pitched notes of the singer’s voice didn’t bite my ears. 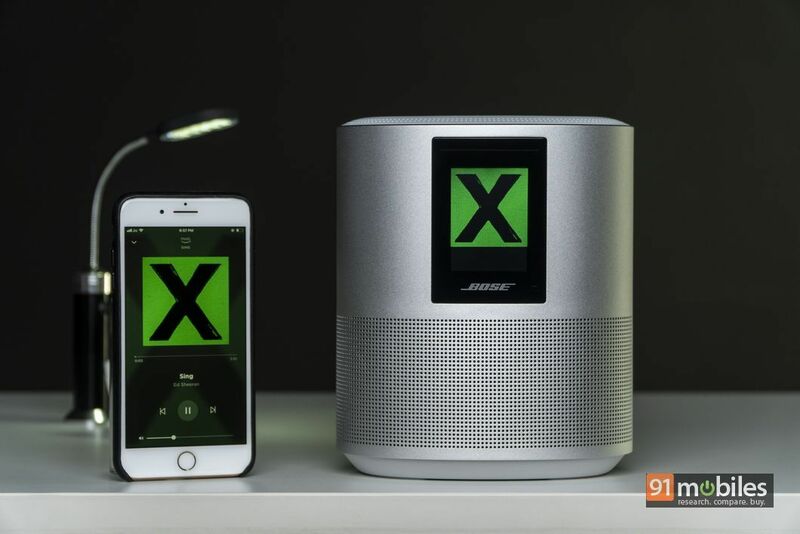 What’s more, the speaker should be on the top of your wish list if you like listening to singers like James Arthur, who incorporate instruments like the piano and acoustic guitar in most of their tracks. Thanks to the unit’s timbral warmth, any song with a mix of the aforementioned instruments played beautifully on the Home Speaker 500. The Bose Home Speaker 500 is among the rare breed of speakers which does justice to songs from the rock/metal genre. You might’ve noticed that for the most part, chaotic rock ballads sound muddy on Bluetooth speakers, especially at high volumes. However, I thoroughly enjoyed listening to Mr. Brightside and Somebody Told Me by the Killers on the unit, as the treble output had just the right amount of sparkle and energy. The power chords from the electric guitar didn’t interfere with the vocals, and I could even make out the kick drums playing in the background in the tracks. Suffice it to say, the speaker excels at imaging too, and you’ll be able to pick out each and every instrument in any given song. Unfortunately, while the Home Speaker 500 managed to create a wide sound stage, the stereo separation still left something to be desired. It’s a little hard to pinpoint exactly how the speaker was lacking but during my usage, I knew that the sound was being outputted from just one speaker. Therefore, contrary to the company’s claims, you’ll have to invest in another unit if you want to enjoy true stereo audio. 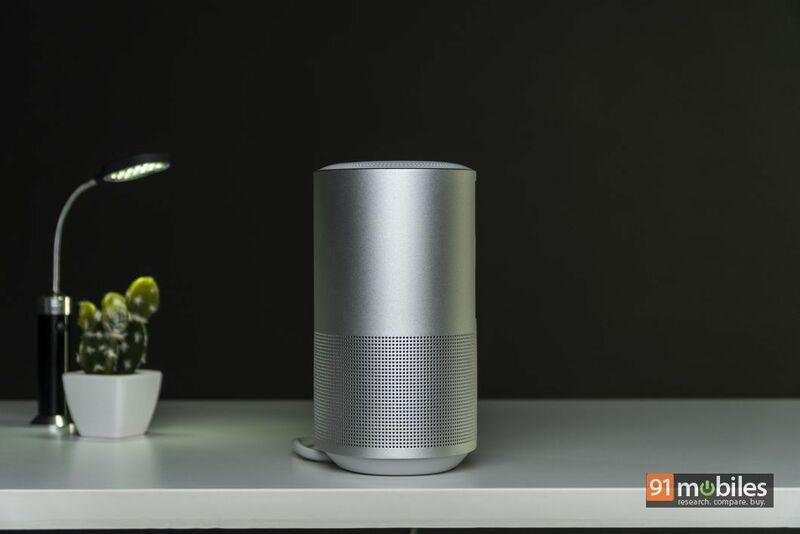 As for the smart stuff, the Home Speaker 500 is comparable to other Amazon Alexa-powered speakers. Therefore, you can ask Alexa to tell you the weather forecast, pause/play your music, set the timer and so on. 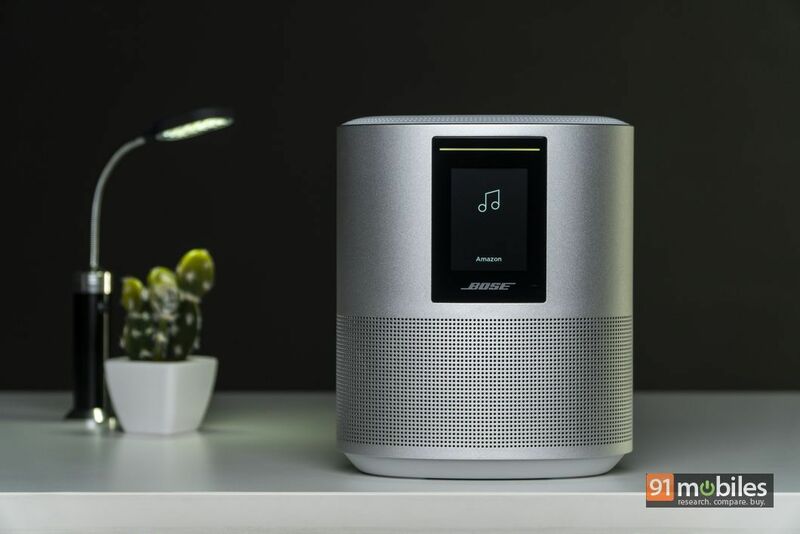 You can pair the speaker to the company’s Bose Music app, but bear in mind that if you have a Bose SoundLink device at your place, then you’ll have to operate it with a different app. This is a huge bummer for anyone who already owns products from the company as the Home Speaker 500 isn’t backwards compatible. Moreover, while the speaker supports Amazon’s Prime Music platform, this feature isn’t yet supported on the Bose Music app in India. Therefore, if you’re an Amazon Music user, you won’t be able to sync your playlists to the Bose Music app. However, you can still command Alexa to play various tracks or podcasts and the assistant will scour Amazon’s massive library and play the song/latest episode of a podcast for you. 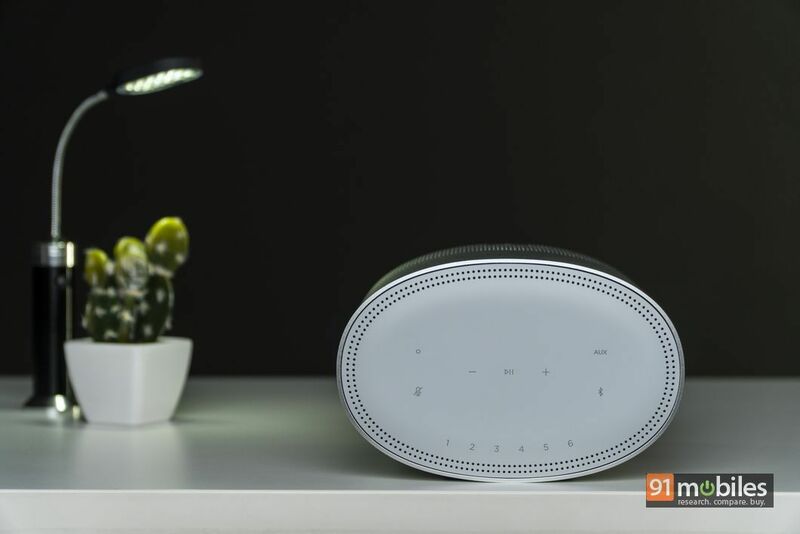 Outside of that, you can also control compatible smart home devices at your place with the Home Speaker 500. So then, is the Home Speaker 500 a good buy for Rs 39,990? In my books, the answer is a resounding yes. The speaker sounds phenomenal, comes with Alexa smarts and boasts a refined, elegant look which screams premium. Yes, it’s not without its flaws and I would’ve liked it more if it was interoperable with other speakers from Bose’s stables. But – and I cannot stress this enough – the Home Speaker 500’s sound quality alone is worth the price you’d pay for it. Therefore, if money is no object, the Bose Home Speaker 500 is a stellar buy.